The RM office will be closed on Good Friday, April 19 and Easter Monday, April 22. 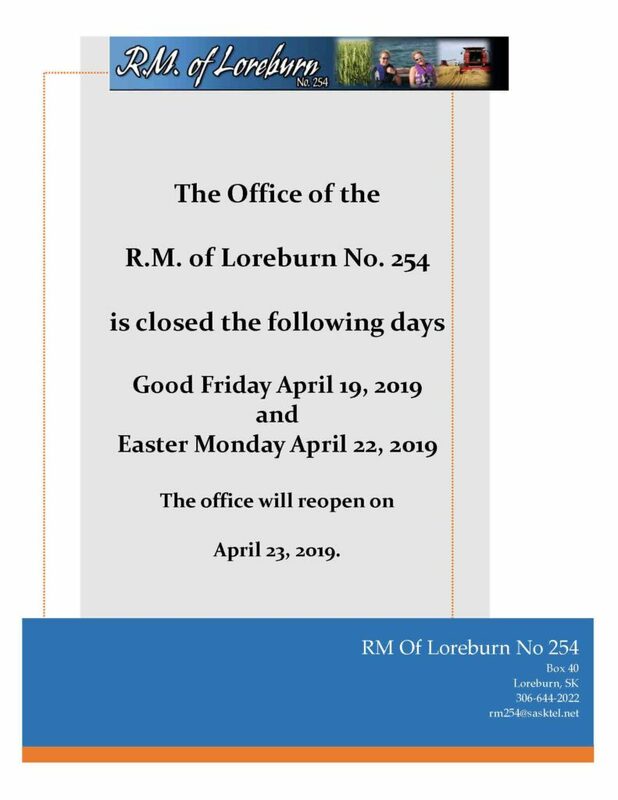 The office will reopen on April 23, 2019. Will be held at 1:00 p.m. It is home to the Annual Farmer's Golf Tournament which is held the second Wednesday of July/ Check out their website. Harbor Golf Club.